Prime Minister Narendra Modi sent shock waves across the nation by his surprise announcement of scrapping Rs 500 and Rs 1000 notes on November 8. Since then, an estimated about Rs 15 lakh crore in junked currency notes have come back into the banking. Now, again to analyze banking transactions before the government’s historic demonetisation decision, the Income Tax Department has asked banks to report cash deposits in savings accounts between April 1 and November 9, 2016. According to the notification issued, it is mandatory for banks, cooperative banks and post offices to report all cash deposits to the Income Tax department between April 1 to November 9, 2016. Banks also have been directed to ask the account holders, who did not furnish PAN (Permanent Account Number) or Form 60 (for those without PAN) at the time of opening bank account, to do so by February 28 this year. It said that persons who have not quoted PAN, or did not furnish Form 60 at the time of opening account, will have to provide the same by February 28. Form 60 is a declaration form filed by an individual without PAN. Further bank officials will have to document PAN or declaration of Form 60 received from account holders and maintain all records for transactions under Rule 114B of I-T Act. Rule 114B lists various transactions for which quoting PAN is mandatory. 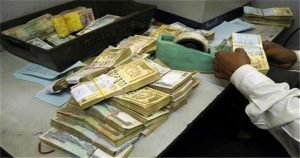 As per a notification, the banks, cooperative banks and post offices will have to report to the tax department all cash deposits between April 1 to November 9, 2016 — the day when the demonetization was effected by junking old Rs 500 and Rs 1000 notes. Following the demonetization move effective November 9, the tax department had earlier asked banks and post offices to report to it all deposits above Rs 2.5 lakh in savings accounts and more than Rs 12.50 lakh in current accounts made between November 10-December 30, 2016. Also, cash deposits exceeding Rs 50,000 in a single day had to be reported. What do you think of this story? Let us know your views in the comments section below.